A garden for the Virgin. 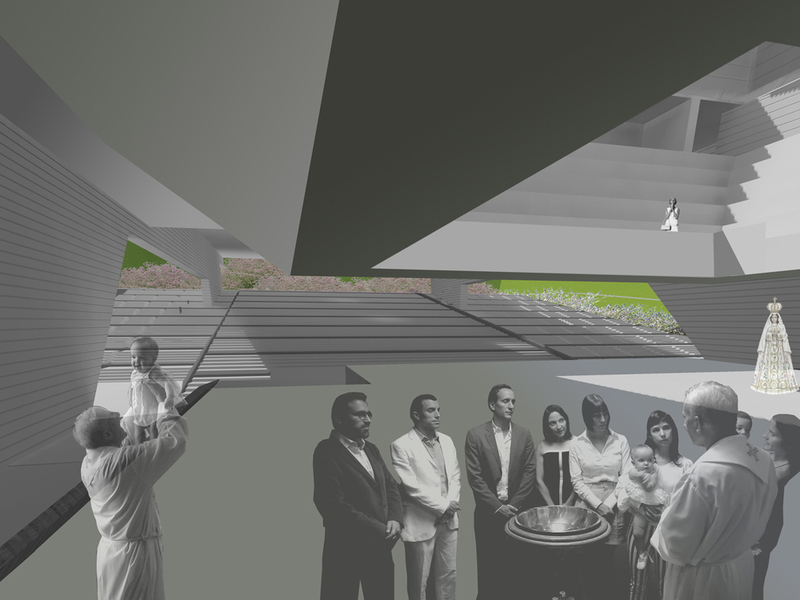 This proposal for Votive Temple for the Virgin of the Valley proposes a place for worship rather than an object in the space that might compete with the current church, which is an icon in the collective memory of Venezuelans. 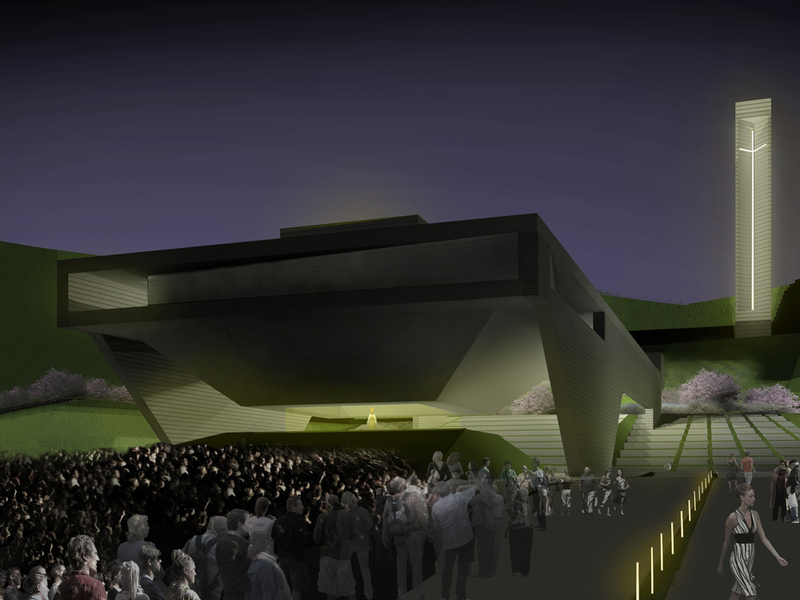 This place, conceived as a park for celebrating the Virgin’s anniversary, responds to several design principles. The altar as the site’s spiritual focus. The centerpiece of the site is an altar with the image of the Virgin of the Valley, crowned by a swirl of luminous rays with songs arising from the chorus, creating a mystical and shining place for worship, day or night. This altar occupies a privileged site since it is the visual focus both for the Votive Temple and the Plazoleta de Fieles (Small Square of the Faithful). 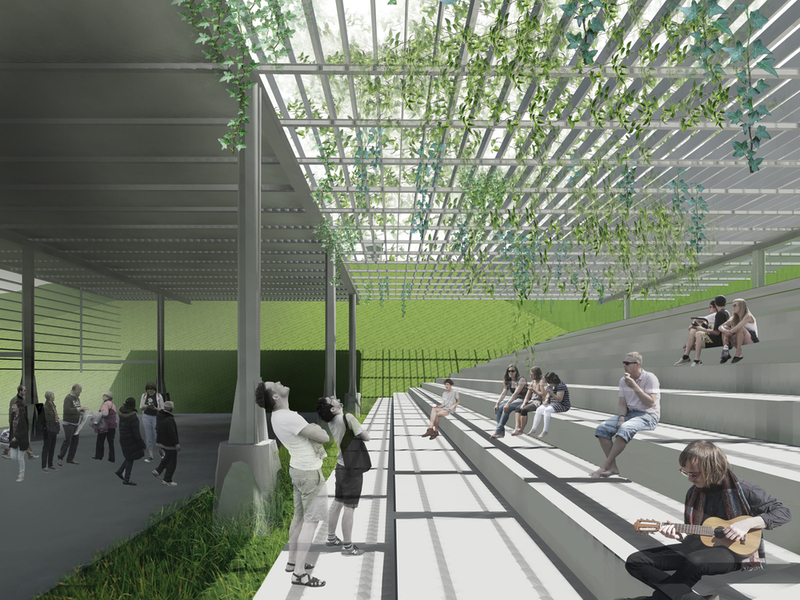 This attractive space, integrated with nature, has natural ventilation and lighting and is tied to cultural activities (museum and library) as well as to the administrative areas. 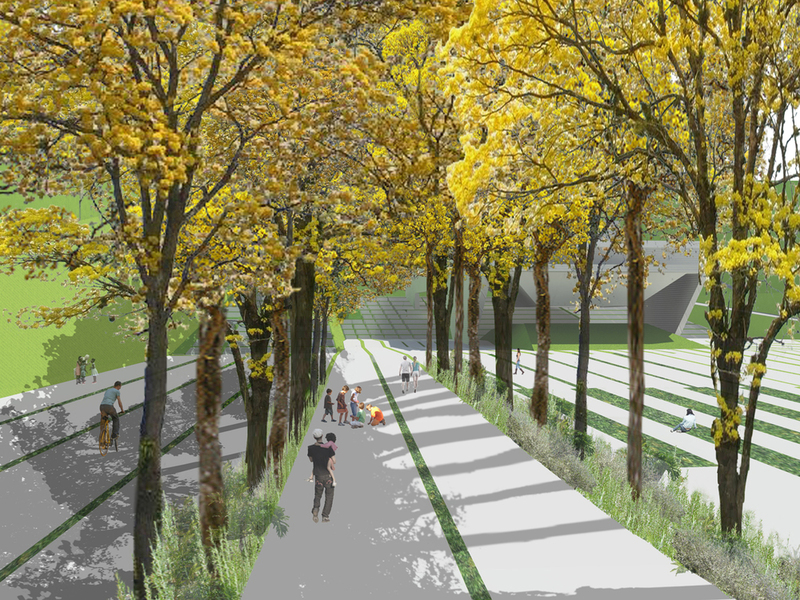 Creation of a new sustainable setting with a stunning landscape tied to the local topography, climate, and flora. By carefully carving the terrain, an attractive place is created generating peace and identity: at the same time it is friendly, broad, and flexible. The earth movement is designed with attractive slopes that can be maintained without the need for retaining walls. These slopes can be protected by replanting with local species, such as the thistle, assuring their permanence while providing an attractive color note. 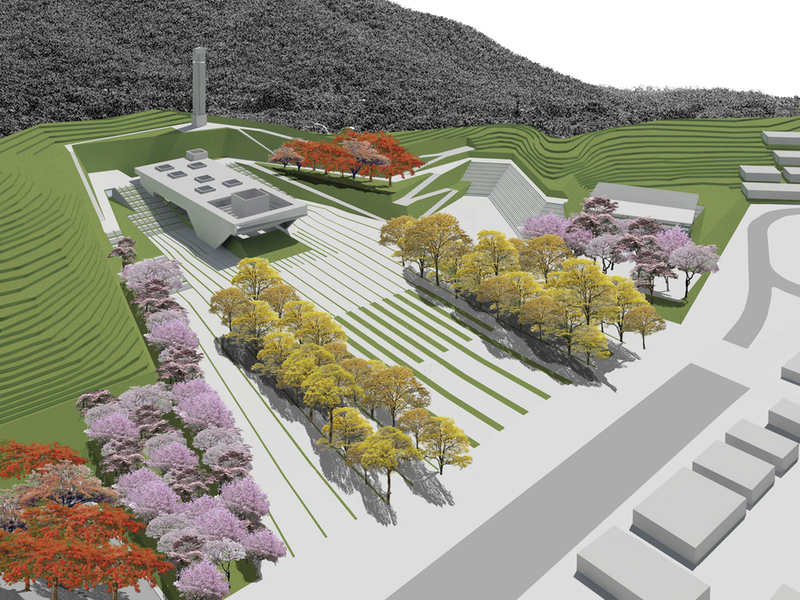 Ground planted with trees forming colored bands that radiate towards the original site while providing shade and reducing glare. The soils of the Plazoleta de los Fieles are treated in bands, each containing one species of tree (acacias, drumstick trees, tecomas, lignum vitaes, etc.) so as to create lines of color that, when in bloom, will suggest an intriguing visual miracle reflective of the location’s spirituality. This type of treatment mitigates the effects of glare and heat, while providing a comfortable temperature for visitors. The bands of vegetation alternate with bands of brushed concrete that stabilize them, adding to the visual integration with the center of town where the original church and Plaza are located. The construction of roofs covered with the epiphytic plants of the location (caracueyes and pitahayas) is proposed. This resource is inspired by the terrain itself, where at the upper levels naturally suspended roofs consisting of these plants have been observed, constituting a true visual spectacle.